Juicing speed: 3 1/2 ounces per minute for most grain grasses, leafy greens, herbs and sprouts. Motor mounted on sturdy stainless steel chassis for a lifetime of maintenance-free service. 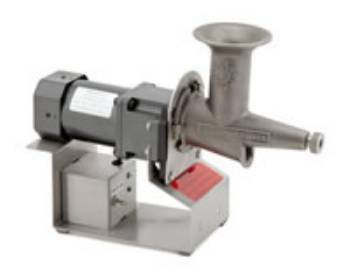 Samson / Wheateena Juicers Warranty Statement: Wheateena warramts its products to be free from latent defects in material and workmanship under normal use and service for a period of three (3) years for home use, six (6) months for commercial use.